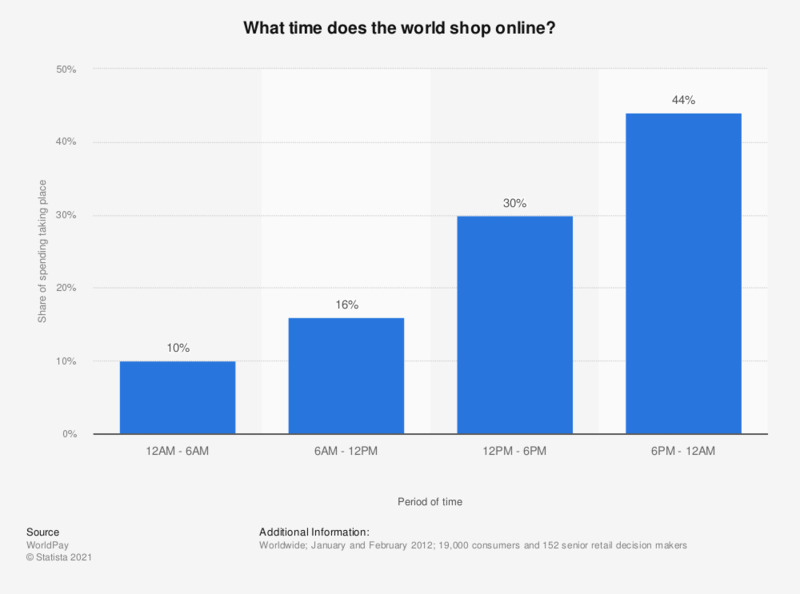 What time does the world shop online? This statistic provides information on consumers' preferred time to do online shopping in January in February 2012. Globally, the preferred time to shop on the internet was between 6PM and 12AM, as 44 percent of all spendings took place then. The survey highlights 8:40 PM as the global online shopping peak time. The survey does not provide information regarding the age of the respondents. Where do consumers say that they shop online when at home?